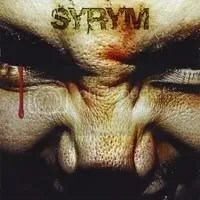 I became aware of Syrym thanks to this very blog and one of my earliest album entries when Mr. Jeffrey Winslow popped up in the comments section. Very cool of him. I also have to say he does a great job on this album. I love his vocals. For some unknown reason, I never got around to picking this album up when it was released. Darn shame too, because I could’ve been enjoying this music so much sooner! This is yet another release that would’ve been a strong contender for the Top 10 of ’08 list… Had I actually heard it in 2008! This is a great melodic hard rock release that continues in a similar style to Babylon A.D. And why shouldn’t it? Ron Freschi & Jamey Pacheco were both in Babylon A.D. Anyone who is a fan of that band or the 80s/90s melodic hard rock sound should love this release, because I certainly do. I know this is an album I’ll be reaching for quite often.